I still remember my mom telling me about her first job out of college. She was an executive secretary—or what we’d now call a personal assistant—for a multi-millionaire. I fantasized about how easy life would be with someone to take care of all the “little details.” Imagine how much more productive I would be if someone else handled scheduling doctor appointments, finding time on my calendar for meetings, etc. What is inTime.io all about? This is one of our favorite iOS tools we've ever reviewed. Why? Because it is one if the best appointment assistants you can use on your IPhone or iPad. The app is designed with smooth user interface, great graphics and powerful, comprehensive tools that will make your life a lot easier. 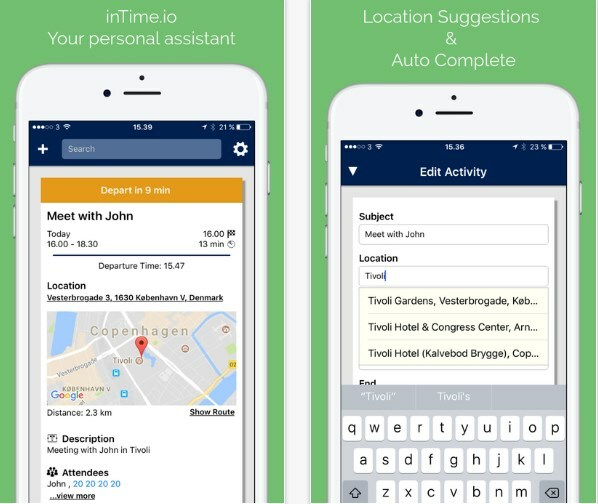 inTime.io is perfect for handling your events and appointments. It helps you arrive on time, it handles unforeseen delays, and it offers the contact info for each appointment attendee. Just install the app on your iDevice, create new events or import the ones from your primary calendar. Also, you will receive notifications, you will have the chance to send text messages, to select from multiple travel options, and so much more. Forget about using phonebooks and manually handling your appointments. 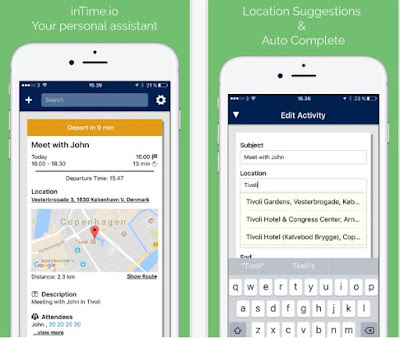 Download the inTime.io app for free from the App Store and enjoy!